We're really pleased to announce Jonathan Casbon has joined the Monterosa team as Head of Sport Development. Working with Director of Sport, Ben Barker, Jonathan is tasked with helping sports rightsholders, sponsors and broadcasters benefit from Monterosa's fan interaction platform and digital products. Jonathan is an experienced sports industry executive, working with rightsholders, brands and agencies to develop and exploit rights value through effective strategic partnerships. After starting his career with Football DataCo, a joint venture from the Premier League and English Football League (EFL) created to establish revenue opportunities from fixture and match data from the English and Scottish professional leagues, Jonathan moved agency-side to drive commercial opportunities from syndicated video content before most recently helping the EFL deliver increased commercial revenues through securing new title and partner level deals. Throughout this period Jonathan has seen the emphasis of sponsorship deals move away from the traditional perimeter board media approach towards developing targeted campaigns that provide benefits to the audience, with digital fan interaction becoming a key component. His time at the EFL saw Carabao announced as the new EFL Cup partner alongside Checkatrade who joined as the EFL Trophy partner earlier this year, whilst supporting partner level deals with Ginsters, Mitre and EA Sports. Monterosa's sports clients have included most recently the Rugby7Stars fantasy game developed for World Rugby to engage fans with the HSBC World Rugby Sevens Series as well as Carlsberg and UEFA for the 2016 Euro Championships, adidas and NFL. 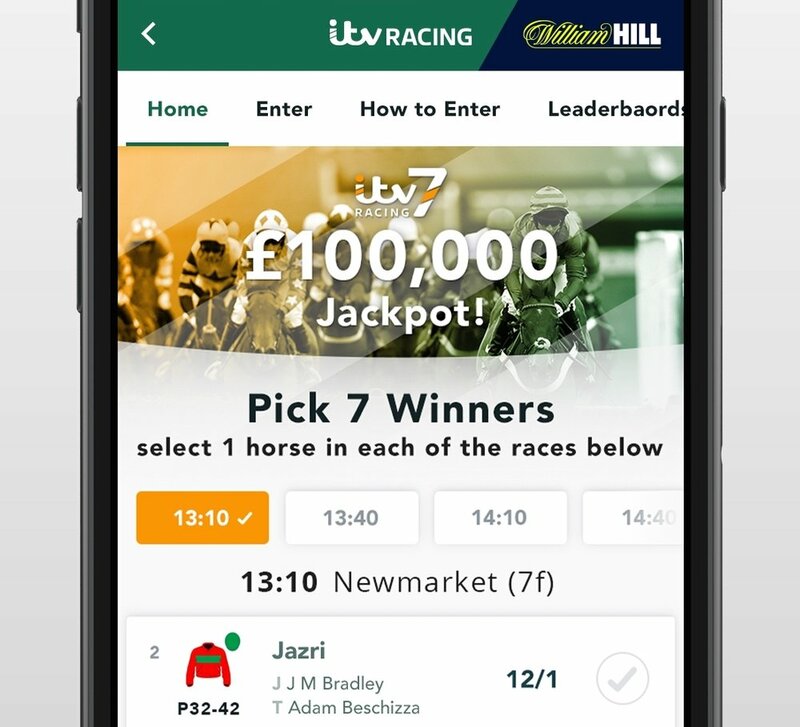 In the world of broadcasting the app we created for ITV’s I’m a Celebrity was number one in the free app chart for the entire season run delivering hundreds of millions of interactions. Fan engagement is a term much discussed but little understood. An increasing array of apps, games, streaming and social network propositions are vying for fans’ attention. That attention is limited; although we spend more time consuming media than we do sleeping, there are limits. So how can rightsholders, broadcasters and sponsors make sense of it all and make sure they hit the right note with fans to cut through the noise? In such a fast moving space, the answers will change annually if not faster. In 2017 the key will be good timing, contextual relevance and personalisation. Prophecies on the future of fan engagement often suggest there might be a singular method of consumption such as VR or AR. But the real answer will be a diverse mix that depends on the demographic and psychographic profile of the fan, the type of sport, the fan’s location and the time of day. The same fan behaves differently in the stadium, in front of the TV and on their daily commute. As fans we have always benefitted from social currency generated by our shared passion. Today that currency has never been more temporal. Victories, athlete stories and controversies on and off the pitch, now gain instant traction. As the still-dominant platform for watching live sports, TV or streaming is the jumping off point. Moments are then propelled via social networks (Facebook, Instagram , Twitter, Snapchat primarily), and instant messaging such as WhatsApp and Facebook Messenger. When Alistair Brownlee helped his brother over the line last month, a social media viral hit emerged in less than a day, TV footage of a triathlon gaining more views than TV itself. But then, almost as fast as everyone was talking about one moment, attention shifts to the next. Even the biggest sporting moments have a relatively short half-life. There is no singular medium or digital solution for fans, because they use many devices and apps, often at the same time as TV. Despite that, there is one universal fact – fans are hungry and impatient. They need to be entertained, educated, and amused in the moment. While traditional TV isn’t going anywhere for the time being, apps, social and messaging channels have the advantage of personalisation. An app can send push notifications tailored to your team, a Messaging Bot can speak to you as if it’s your friend. A fantasy game can let you compete with your own friends. Engaging fans on multiple screens simultaneously is a challenging approach that can be particularly rewarding when executed well. HSBC and World Rugby Sevens, for instance, worked with us to speak to a new generation of Sevens fans, to enhance the global TV broadcast and to build a Sevens CRM database. We created a new breed of live fantasy which attracted fans from 140 countries in 2015-16. The “Rugby7Stars” game engages fans both between events and while they’re watching live on TV, solving a key problem with traditional fantasy: lack of engagement between events. In the game we created, Sevens fans are given the opportunity to build their fantasy squad between events 24/7 by opening card packs of players from each country, then competing head to head with other fans around the world to steal players. During the live broadcast, live TV graphics on the world feed feature leaderboards of fantasy players, with commentators calling out fan names making them part of the coverage. Interaction with live TV or streaming is no longer a gimmick. Although forcing fans to interact during the most exciting moments is an unwelcome distraction, allowing them to make live substitutions in down-moments is a very successful technique. How to maximise business value from engaging fans? It’s essential to be clear about what you’re trying to achieve. Educating new fans, communicating with younger ones, building a database for ticket marketing are all legitimate goals but they can lead to very different approaches. It goes without saying that if you aren’t making something significantly better than it was before, your idea won’t last very long. Just look at Major League Baseball’s new StatCast as a product that provides value for fans through new real-time stats and stories based on live player and ball tracking data. It's truly groundbreaking using new types of tracking data never seen before. What we create has the potential to add value for the rightsholder and sponsors, a capability that can be monetised through specific sponsorship from a brand looking to associate with smart data, in MLB’s case that is Amazon Web Services. We also provided Carlsberg and UEFA with a new take on both Man of The Match and Goal of The Tournament for Euro 2016. The two ‘sole & exclusive’ rights formed part of Carlsberg’s partnership and the brand wanted to activate fans while fulfilling its promise of “doing it better for fans”. As such, they could simultaneously vote on all platforms including UEFA app, Carlsberg’s football hub, Twitter and Facebook. The experience included video, social buzz, ambassador commentary and personalised meme sharing. For the first time, the brand was able to use goal footage on social media to promote the vote. Delivering an impressive 2 million users and 9 minutes average dwell time, it proved how doing things differently drives attention and brand exposure. Last but not least, sensitively collected data is a both a by-product and for some, the most valuable output of interaction. In Norway with broadcaster TV 2, Monterosa activates fans of a sports reality competition show “Best of the Best”, with a prediction game that drives location-qualified test drive requests for sponsor Renault. Location-qualified leads carry great value to car brands. For our client TF1, one of France’s official broadcasters of Euro 2016, our LViS platform powered a live overlay panel featuring line-ups, live stats and audience reactions. Forward-looking broadcasters like the UK's Channel 4 recognise that building a registered database of profiled users helps drive premiums on targeted ads and help to target marketing by age, location and interests.